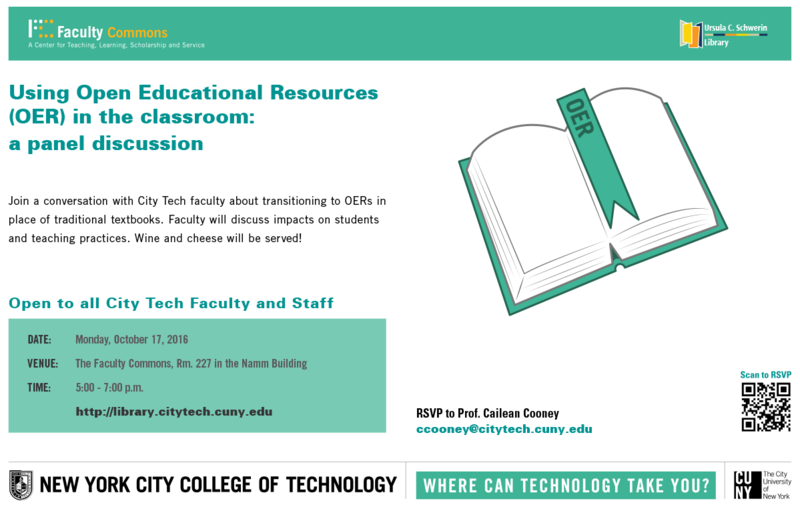 Join a conversation with City Tech faculty about transitioning to OERs in place of traditional textbooks. Faculty will discuss impacts on students and teaching practices. Wine and cheese will be served!